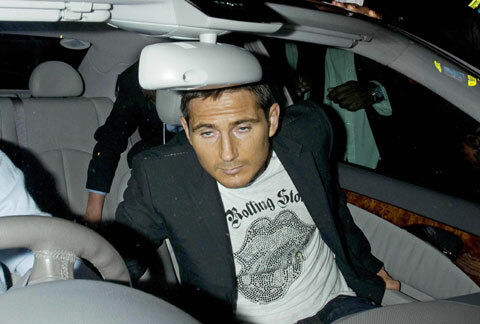 Check out 10 photos of drunk footballers, including Chelsea’s John Terry, ex Liverpool striker Peter Crouch, Arsenal flop Nicklas Bendtner and Real Madrid legend Cristiano Ronaldo. Liverpool Vs Chelsea Celebrity Fan Battle: Justin Bieber Helps Blues Edge It. (Image) Dirty Chelsea: Blues Leave Liverpool Dressing Room In Horrible Mess. Manchester United’s players enjoyed a boozey night out following Saturday’s 1-0 win over Crystal Palace. A few of the Red Devils stars – Chris Smalling in particular – appeared to have consumed a little too much alcohol. Smalling’s state, a picture of which you can see above, got us thinking about other top footballers who have been photographed after downing a few too many. Our research led to us finding out that many of the Premier League’s big names have over done it in the past. (Image) Sunbathing Serena Williams Shows Off Full Figure In Cleavage Selfie.